1-2-1 Meetings: Hosted by the mining companies in branded meeting spaces laid out in the air-conditioned tent – there are semi-private meeting spaces designed to allow for intimate conversation while encouraging extra drop-in meetings. A range of hotels and guesthouses are available nearby and can easily be searched online using a service such as Agoda.com, Trivago.com, Hotels.com etc. Shuttle Service: 121 Group provides shuttle buses throughout the two-day event between Welgemeend and Cape Town Convention Centre (CTICC). 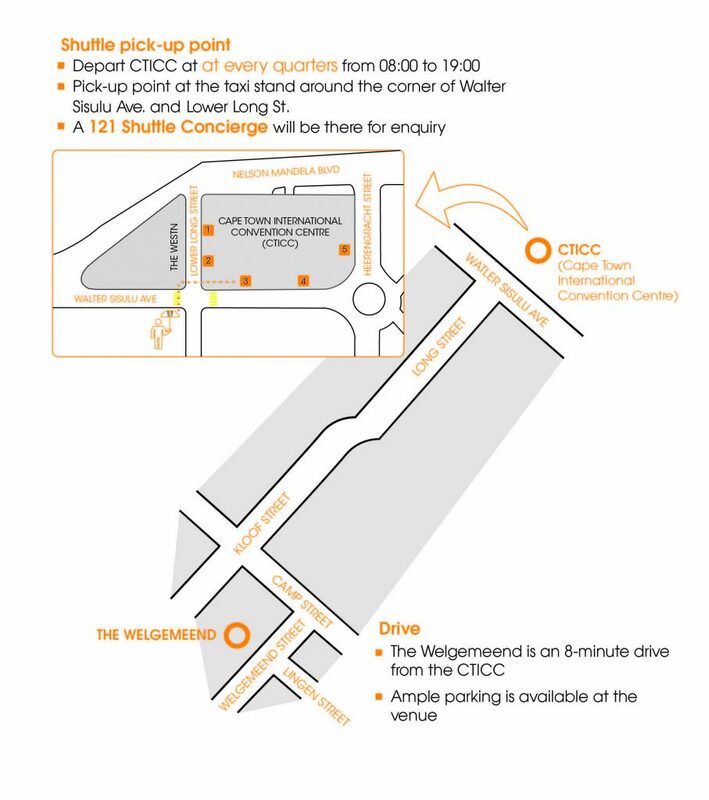 Buses will pick-up every 15 minutes from the CTICC and the Welgemeend, with a bus departing from each venue at every quarters from 08:00 to 19:05 each day.